The project features the city of Federal Way’s first rain garden. Additionally, extra precautions were taken to preserve existing trees on the site. 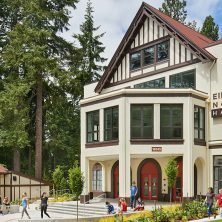 Kirtley-Cole Associates teamed with Mithun on this project and was awarded Best Public Construction by the Associated Builders & Contractors of Western Washington for the project. 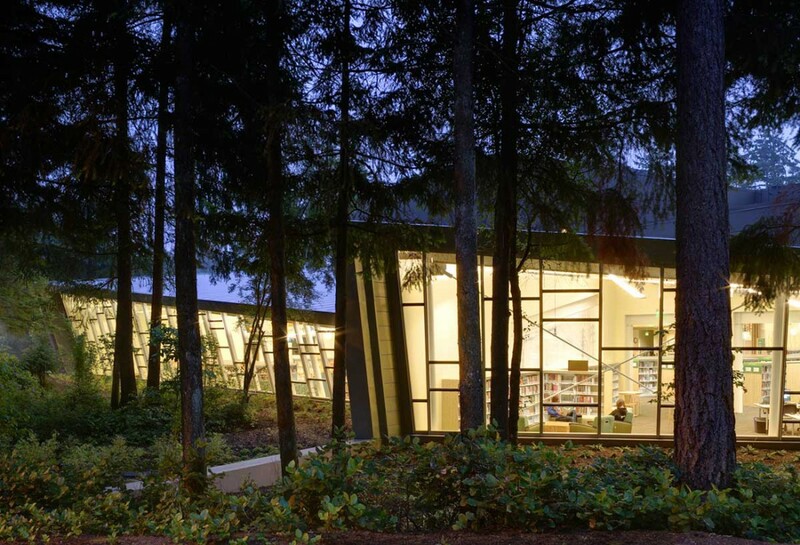 The project included a complete renovation of the existing 15,300 SF Kirkland Library, as well as construction of a new 4,500 SF addition. The addition occurred on top of the existing parking garage, which remained occupied and operational during construction although the library itself closed during construction. 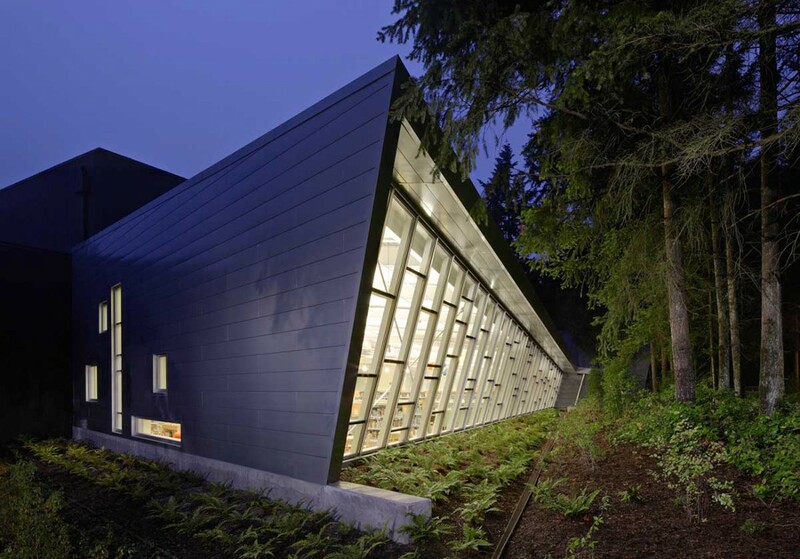 It extends the roof from the original building and culminates in a glass pavilion overlooking the city’s Peter Kirk Park. 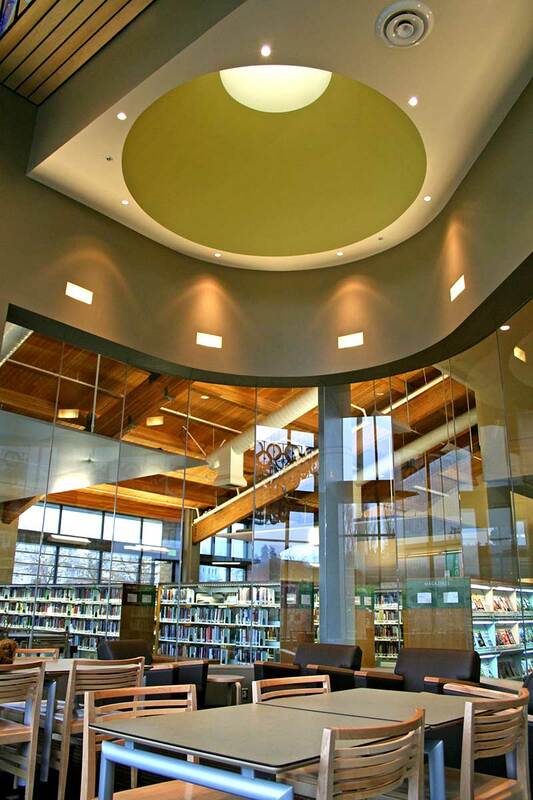 The addition houses a new quiet room with curved walls and dome to a skylight, as well as additional space for shelving. 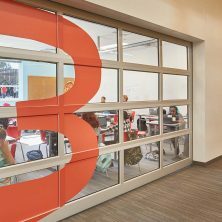 The renovation and expansion includes an expanded Children’s Area, as well as new furniture and finishes throughout the building. Wayfinding elements were installed to enable people to better find library collections. Other added spaces include two light-filled reading and study areas, a new conference room, a large meeting room and two study rooms. 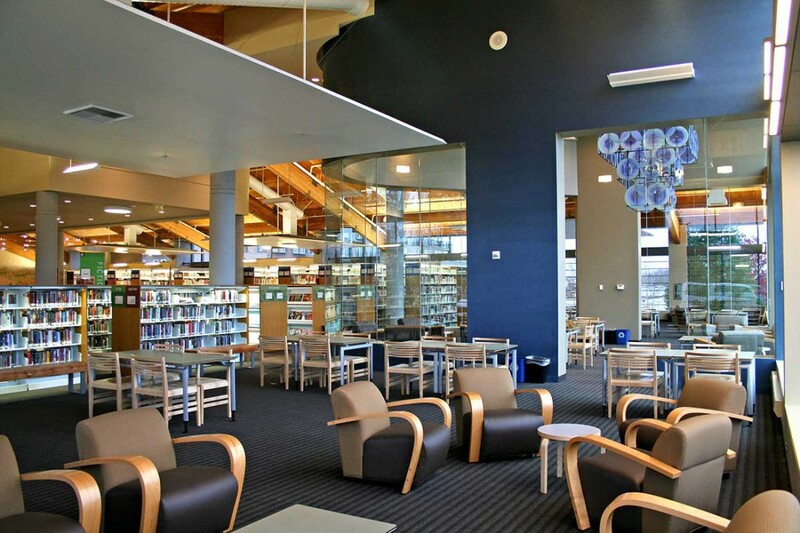 The project expanded and renovated the 8,690 SF library. 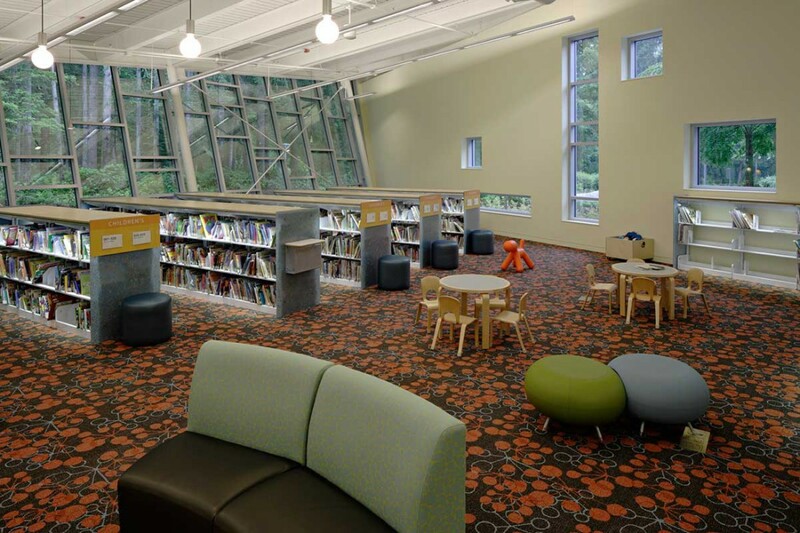 The interior of the library features enhanced public spaces with additional seating, including a new windowed reading porch and a cushioned children’s window seat with views of the surrounding wooded area. 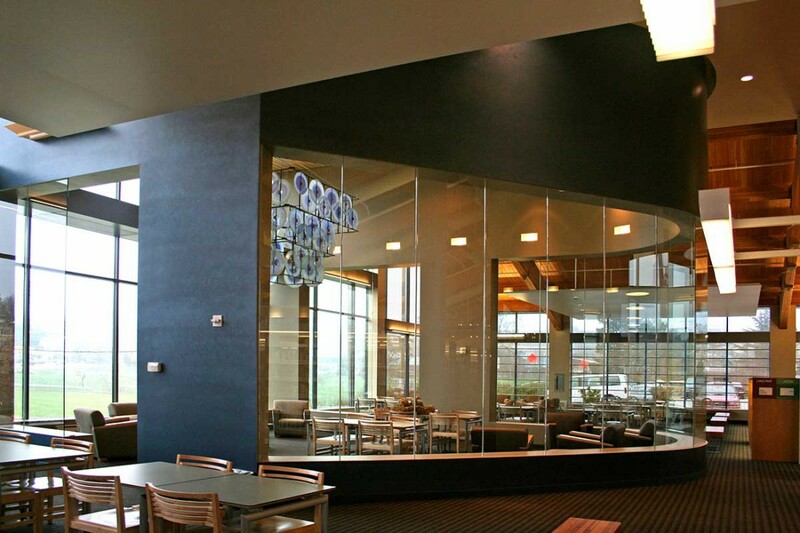 The meeting room was enlarged and opens up to the central area when not in use with a large sliding glass door featuring artwork by glass artists Stuart Keeler and Michael Machnic. New furniture and finishes are found throughout the building. The Children’s Area was enhanced with computers and child-friendly furniture. Updated carpeting, shelving and renovated restrooms complete the public area enhancements. The most visible enhancements to the exterior of the 1970s building are a new covered entryway that is closer to the parking area and a cedar shake roof. New sidewalks, driveway paving and outdoor plantings complete the site work. 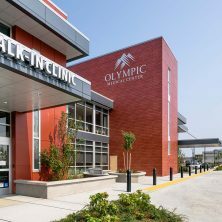 Sustainable practices included adding a well-insulated roof and new insulated walls, as well as double-paned windows and energy efficient light fixtures. 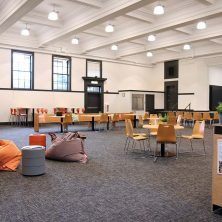 Carpet and paint with low VOC levels were used, which improve the quality of air inside the library. The computer Cyber Bar and Self Check-In counters were built from reclaimed hardwood from fallen urban trees in Seattle.